Ever go on date night and accidentally hand the waiter your corporate credit card instead of your personal card? 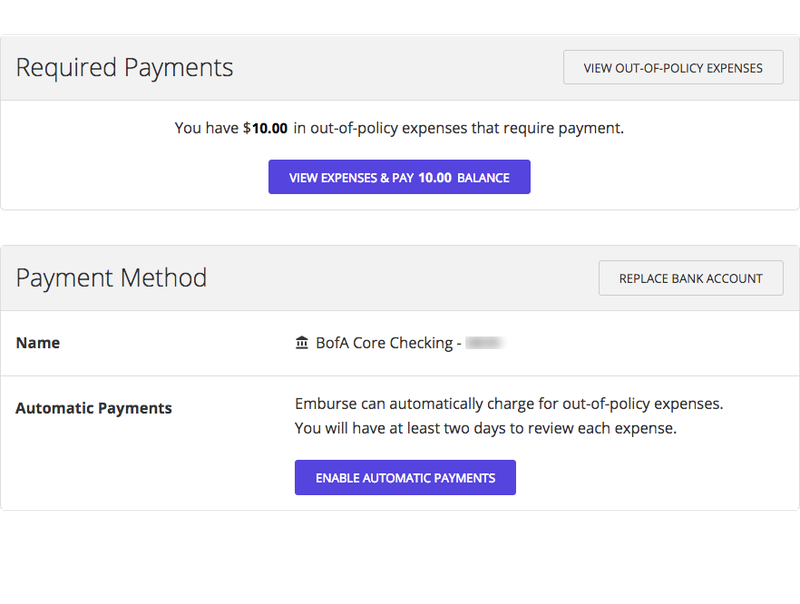 These out-of-policy expenses used to require you to write a check to the company but with Emburse’s new Deductions feature, fear no more. 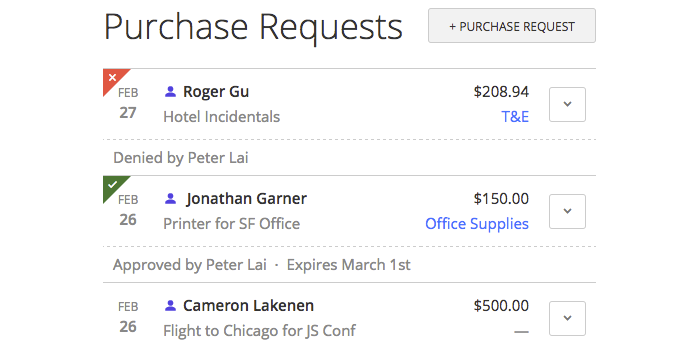 Employees can now pay the company back directly through the application. An admin or the employee themselves can mark accidental out of policy expenses in their transactions tab. When the transaction gets marked, a notification will be sent to the employee responsible for the charge. Example: Chris accidentally made a purchase on Amazon. Because he is a man of high integrity, he marks the transaction as an out-of-policy expense and can then reimburse the company. 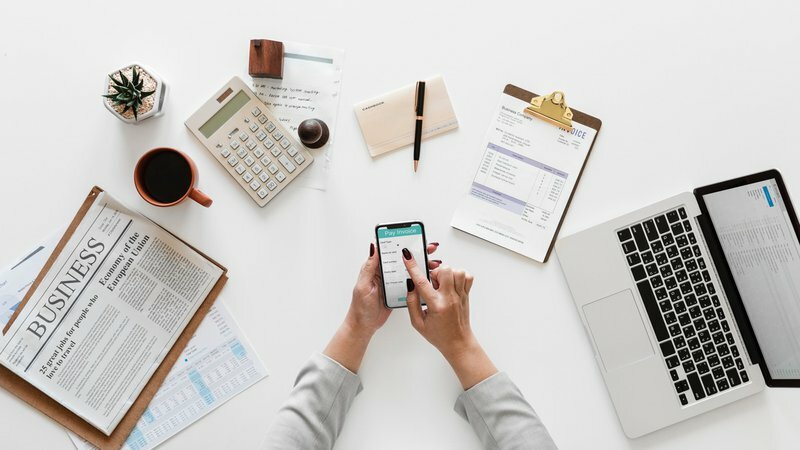 There are then multiple ways a member can reimburse the company for an out-of-policy expense. The money will be directly deposited back into the company’s account. 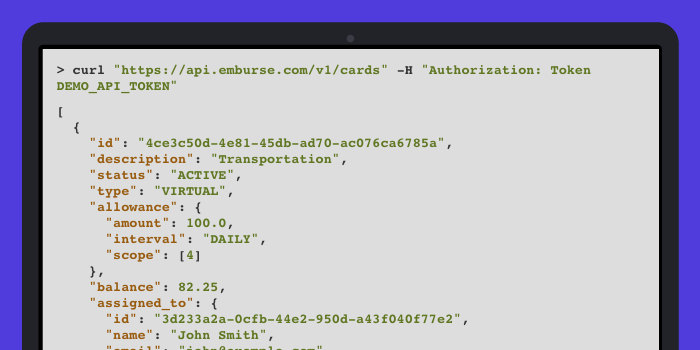 Our new feature also checks budgets restrictions on transactions and can automatically mark any overages as out-of-policy expenses that an employee would have to pay back. For example Acme Co has a lunch policy of $10. Chris has spent $20. 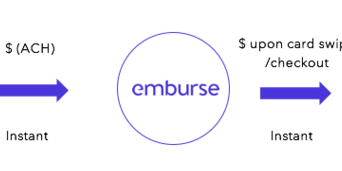 Emburse will automatically split this transaction into two and mark the difference as an out-of-policy expense. $10 has now become an out-of-policy expense. Chris now has the ability to pay back the amount so that the company gets the money back.